L.M. Reid is an Irish writer who has published many recipe articles. She has a keen interest in creating delicious recipes and dinner ideas. How to make a delicious dinner with lamb chops. 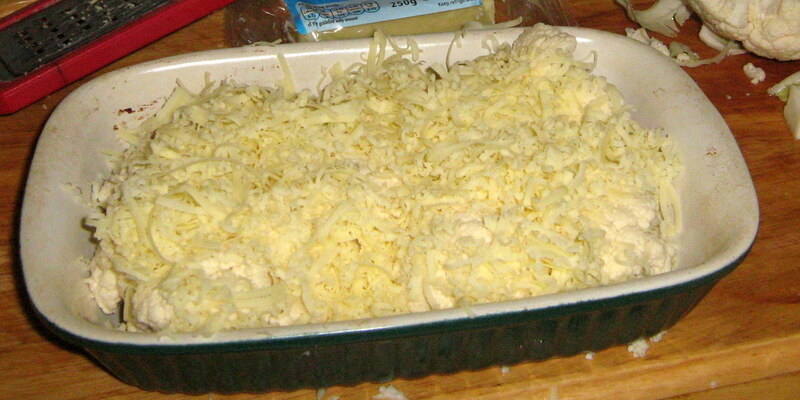 I have included recipes for roast potatoes, cauliflower cheese, and other side dishes. This meal only takes fifty minutes to prepare and cook. There are step-by-step instructions, photos, and a video, as well. The potatoes for the roast and other veg are prepared as the lamb chops cook in the oven. Therefore the whole dish takes 50 mins to prepare and cook. Preheat oven on the highest setting for 10 minutes. Wash the chops under the tap. 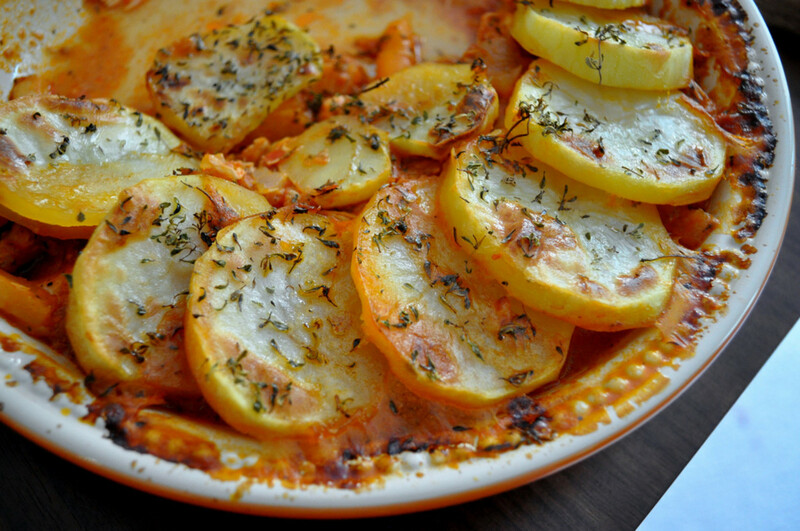 Place in a suitable sized oven dish. Add enough water to come up three quarters the way up to the chops. Place in the highest part of the oven at 180 degrees. After twenty minutes remove the cutlets from the oven and turn around in the dish. Place them back in the oven for a further twenty minutes. Remove the chops from the oven. 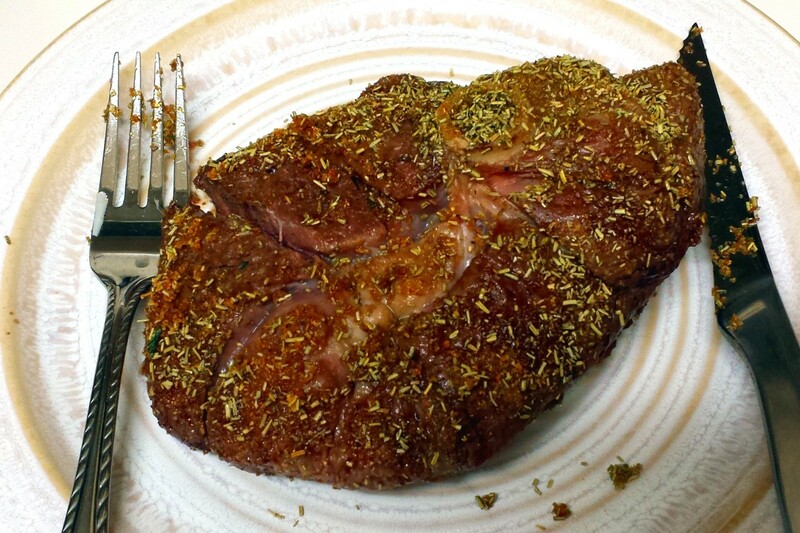 Take out a few table spoons of the juice surrounding the meat for your gravy. Leave for five minutes. This allows the flavour to settle. Put back in the oven to heat a few minutes before you dish up the dinner. Cut up the potatoes the size you prefer your roast to be. Add a small amount of milk, making sure to wet the cauliflower as you pour it. The milk should only be three quarters way up. The amount of cheese and milk depends on your taste. Put the dish in the oven, middle shelf, fifteen minutes after you put in the lamb chops and roast potatoes. Cut up the potatoes into small pieces and wash under the tap. Put in a small saucepan in water. Peel the outer leaves from the sprouts. Cut the hard end off. If they are large sprouts you can cut them in half. Wash under the tap and put in a medium saucepan in water. Cut up the cabbage in to quarters for easy use. Then slice the cabbage leaves into smaller pieces. Put in a medium sized pot and wash thoroughly under the tap. 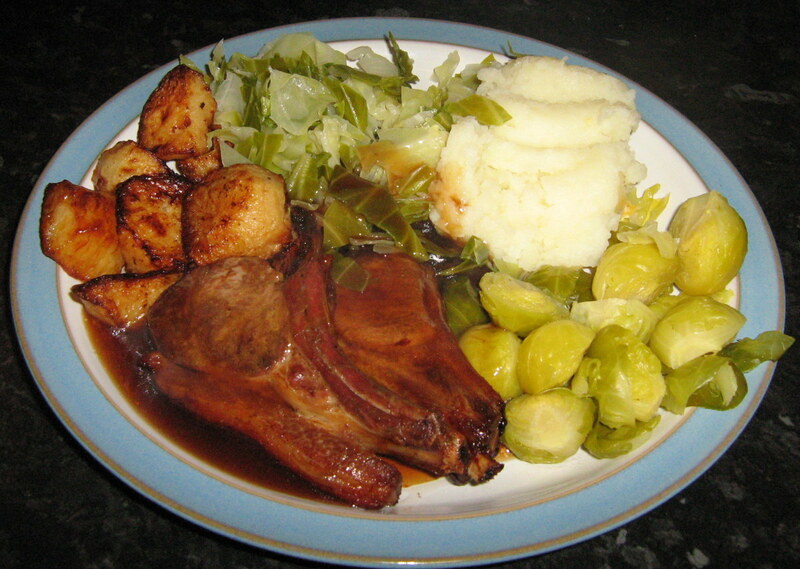 The potatoes, sprouts and cabbage should be placed on the cooker thirty minutes before the lamb chops and roast are ready. If you want to speed this up you can add boiling water to the pans and the cooking time is five minutes less. The cabbage and potatoes only take twenty minutes to cook. How to Make Gravy, Kind of! Half the amount of water from the pot where the cabbage is cooking. Wait until the cabbage has been cooking for about ten minutes so that you will have the flavour and the nutrients in the water. Replace the cabbage pot with more boiling water. The meat juices you removed from the dish with the lamb chops in. Put about four tablespoons of cold water into a cup and add two tablespoons of the gravy powder. Mix very well with a wooden or plastic spoon until all the powder has dissolved into the water. Now comes the part where you have to concentrate if this is the first time you have made gravy like this. Bring the water to the boil in the pot and start to stir in the mixed gravy powder at a continuous level and speed. Do this until all the powder is gone or if the gravy in the pot is getting too thick. Dish up this oven cooked dish of Lamb chops with roast potatoes and vegetables. Remove the food from the cooker as everything should be cooked at the same time. 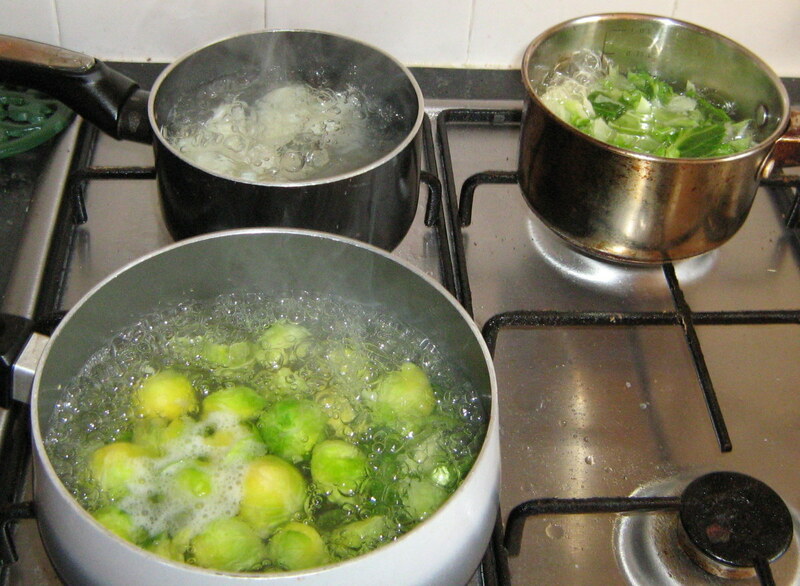 Drain the cabbage, sprouts and potatoes of water. At this stage if you wish you can add salt or butter. Cover with a lid to keep warm as you remove the roast potatoes, lamb chops and cauliflower cheese from the oven. Dish up this delicious lamb chop dinner and enjoy! 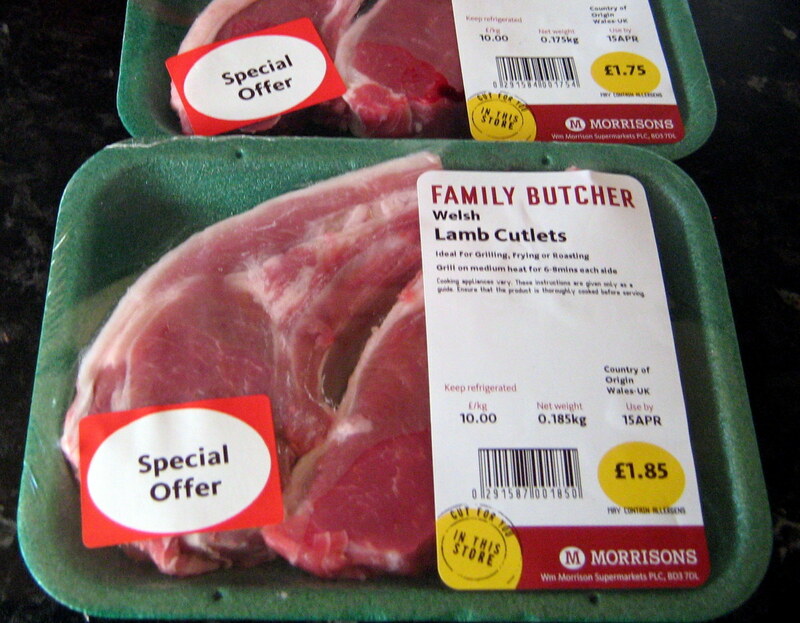 In the UK lamb chops and cutlets are quite expensive. I always look out in the stores and supermarkets until they are on special offer. That way I can buy them when they are cheap and freeze them. Then if the money allows I buy enough for a few dinners. This recipe includes a full dinner of oven cooked lamb, mashed potatoes, roast potatoes, cauliflower cheese, cabbage and sprouts. I also added gravy and mint sauce. 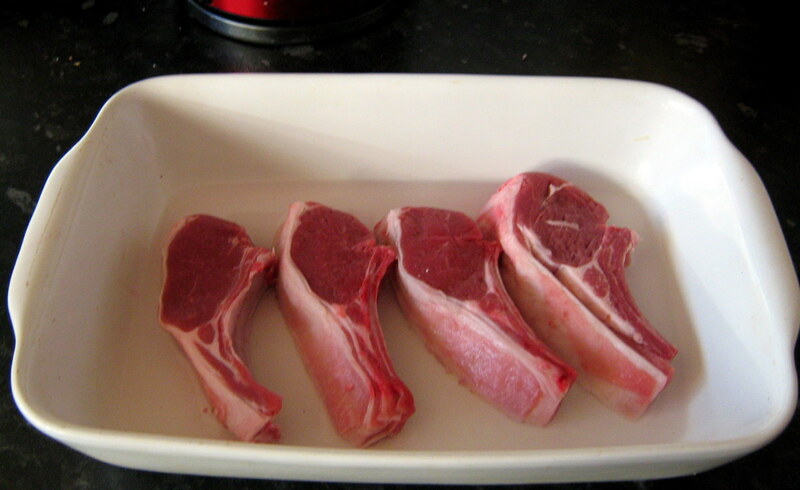 Yes lamb chops are one of my favourite meals. The cauliflower cheese can be cooked in the oven with the lamb chops and the flavour and taste of the cheese really gives the cauliflower a new taste. I hope you try it soon Cyndi10 because I am sure you will love it. You made my mouth water just looking at the pictures. Cauliflower I love, but I've never fixed it with cheese. I can see that all the flavors should go well together. If lamb chops are on sale, I'll give it a try this weekend. 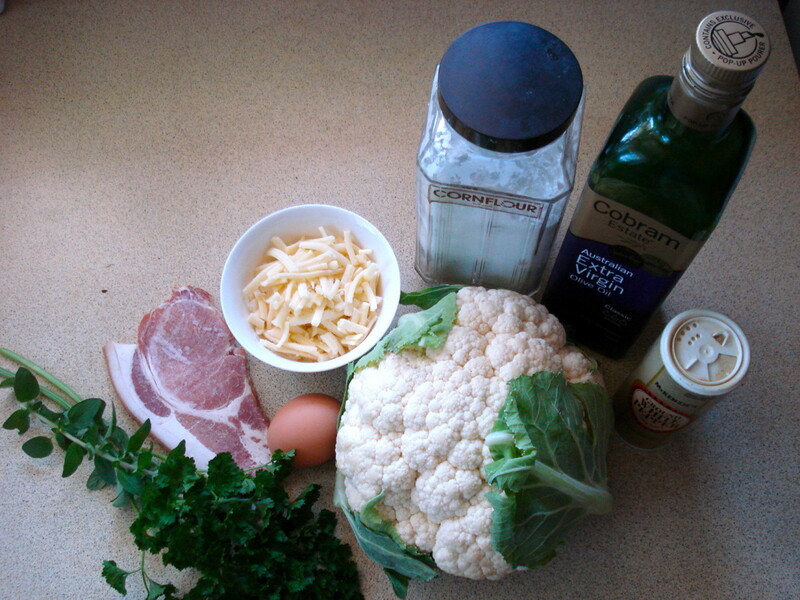 The cheese on the cauliflower does make a lovely vegetable that tastes different to boiled cauliflower. So creativelycc if you get a chance give this recipe a try, you will not be disappointed. Breathing. That is great that you have access to lamb from your uncle's farm. The lamb would be a lot fresher from there rather than the butchers or other stores. Lamb...! no doubt it is very tasty. My uncle has a sheep farm. 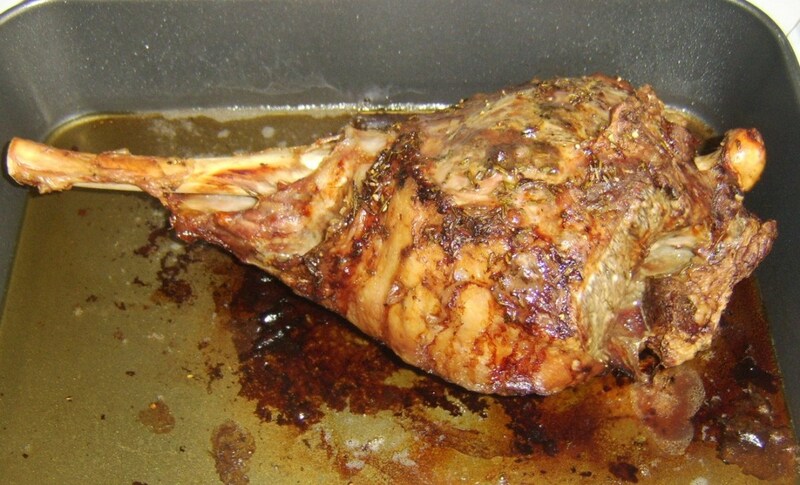 That is why lamb is tasted by us several time. And it is a very good hub. Nice recipe also. Great sounding meal with all of the vegetables added to the cooked lamb chops. Lamb chops are expensive on this side of the Atlantic also compared to other sources of protein, but a nice treat once in a while. Thanks for all of your cooking tips. Voted useful and sharing. This looks so good, I love lamb chops. The cauliflower cheese sounds delicious as do the potatoes and the sprouts. This is a very healthy meal filled with vitamins, minerals and protein. I'm going to make this for supper one night. Thank you. 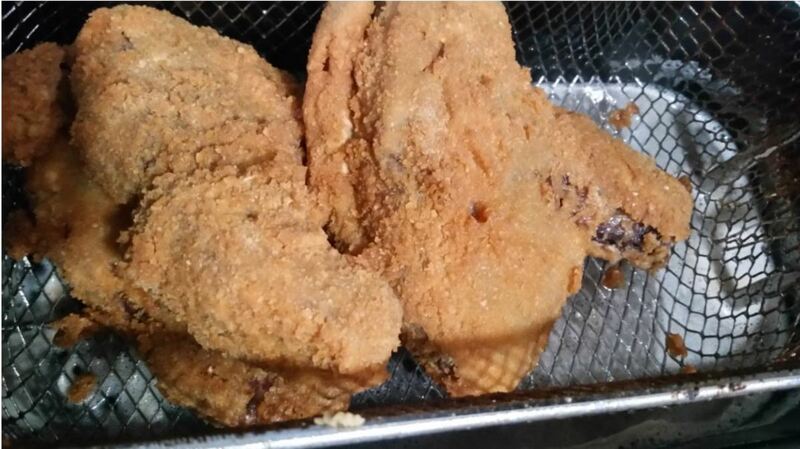 Yes lamb chops cooked in the oven have a different taste to those that are fried. And there is less mess too. 2patricias, I have always tried to prepare the veg and potatoes etc that can be cooked in the oven if I know it will be on for a while. My mother taught me most of these recipes and I learnt this practice from her. She had to think of ways to save on the electricity bills because money was tight then when I was growing up as it is getting again now a days. I recently tried cooking lamb chops in the oven because I thought there would be less mess to clear up. (I was right about that.) It didn't occur to me to cook the rest of the dinner in the oven - an important point, now that fuel is so expensive. I've voted this a useful hub. prasetio, I came back to the hub to see your comment and saw the photo of my dinner. Those lambs chops with the gravy look so good. Think it is time I cooked some more lol. It sound delicious. I love lamb chops. Beautiful presentation and I can't wait to try it soon. Thanks for share with us. Rated up and useful! Lamb is my favorite meat so this sounds delicious to me. The Cauliflower Cheese is unusual and something I've never tried before. Voting this Up and Useful. Thanks for the comments and votes KoffeeKlatch Gals. I do love to cook and write so it makes for a nice combination, lol. Your lamb chops recipe is making me hungry. Your picture and instruction are supberb. Up, useful and interesting. Brandym, you will not be disappointed with the taste, thanks for reading. 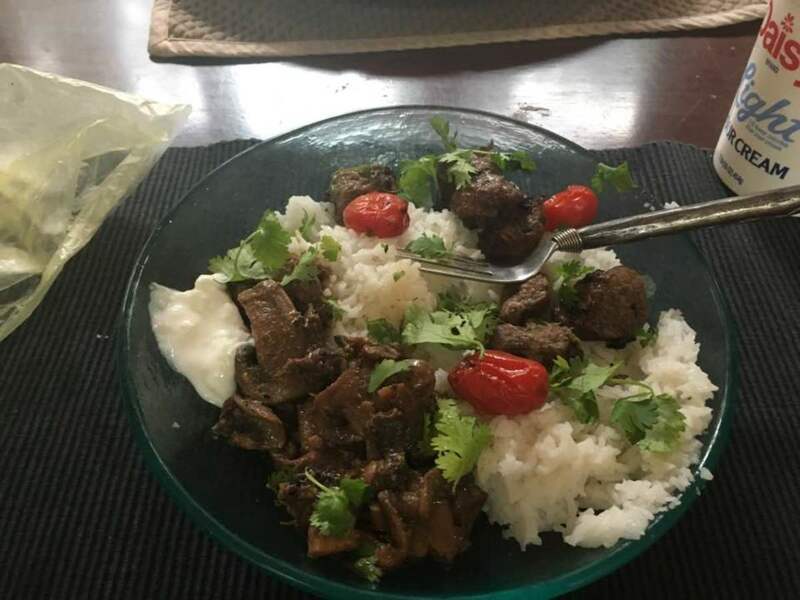 Modern Lady, it really is an easy dish to prepare and cook. And the results are impressive for taste and presentation. Yum! I'm always looking for tasty recipes that don't require a ton of prep. This seems pretty easy. Thanks! Love this recipe! Going to try it very soon. Great Hub! drbj. 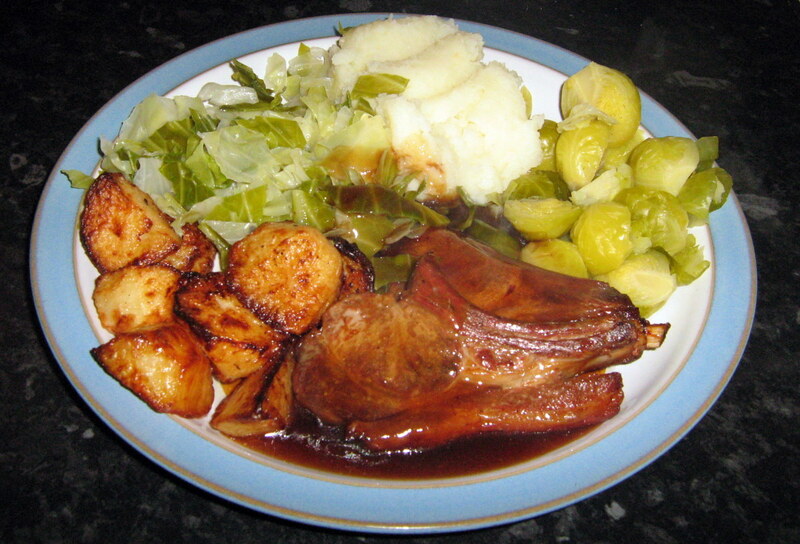 Pork Chops could be cooked in exactly the same way as the lamb chops but I would use applesauce instead of gravy and mint sauce when dishing it up. Nice recipe, but I love pork chops. Do you have a simple recipe for them? Just wonderin'. I love lamb chops but don't buy them too often because of the price. 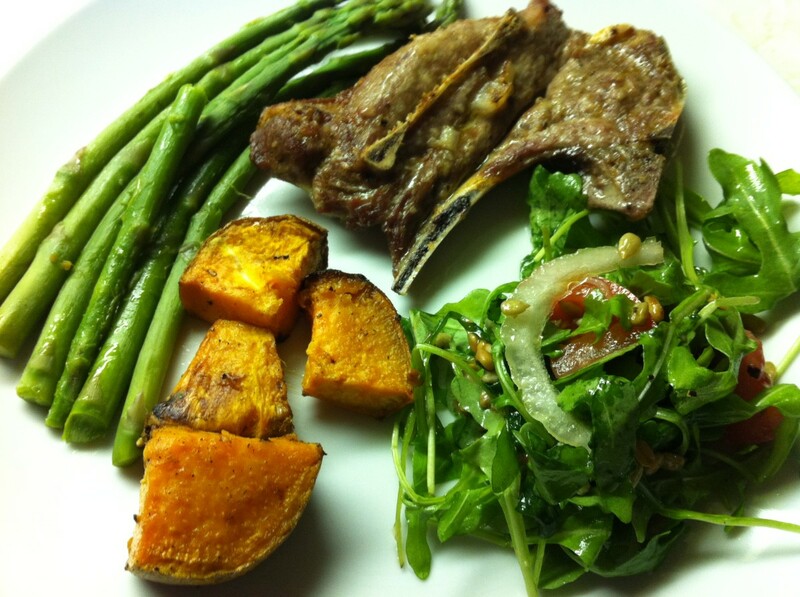 Your recipe and all the delicious pictures have me craving lamb chops. 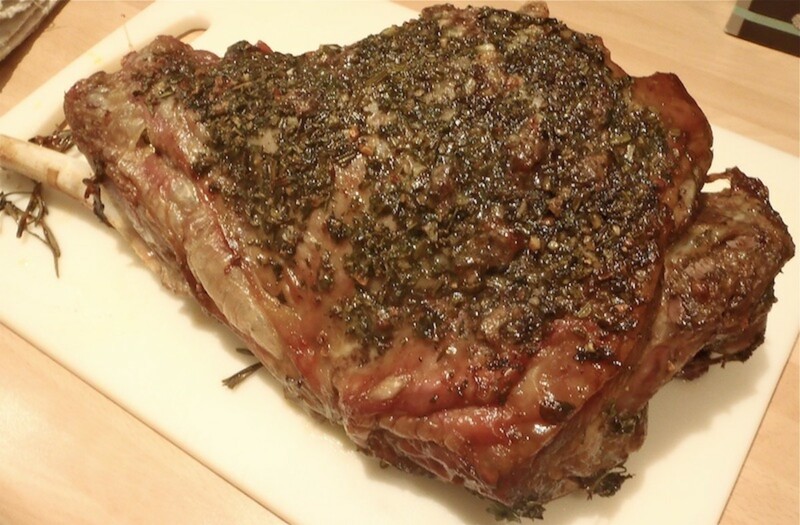 Thanks for sharing your recipe and as soon as lamb goes on sale I will be trying your recipe.